With its lace and mesh covered top this gown reveals just the perfect amount of skin. Being both bohemian yet classic at the same time, it’s something for the bride who wants to stay chick while still being romantic. The low v-neckline and open back combined with the figure-hugging skirt will truly make your figure pop, and you will look amazing from every angle. 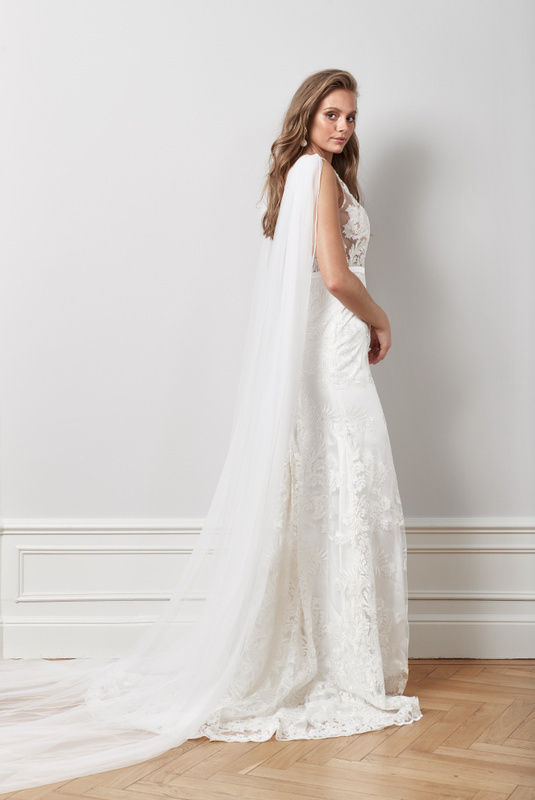 Wear it with our Detachable tulle cape veil to complete the look on your walk down the aisle. 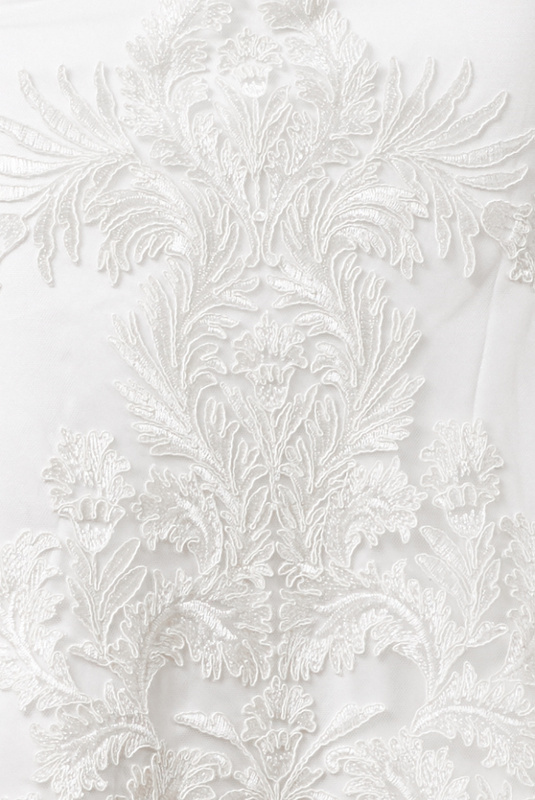 •	Beautiful lace with lace boarder on skirt with a double silk lining.